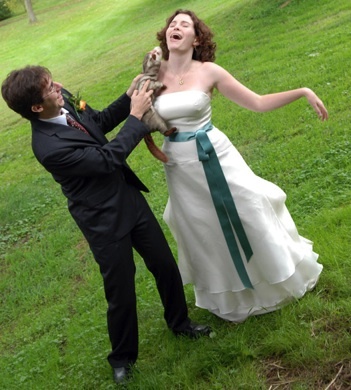 On September 30, Vandra attended the marriage of Weasel Trek founders Daniel and Sarah! OMG, we just came across your site because we bought an Ikeas weasel for my sister. She was visiting from Northern California, got sick, and so, of course, she needed a Get Well Soon Weasel, right? So then this got us searcing for images of weasels (because weasels do make you giggle) and, voila! We found WeaselTrek.com. You guys rock!